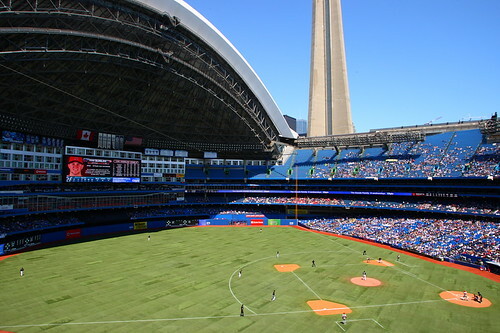 Checked out a Blue Jays game last Thursday. It was a work function, so we were up in a corporate box, pretty far from the field. It was a good chance to try out the 9fps of the 1DmkIII.